The Business to Business (B2B) landscape has and will continue to be a vital part of the overall marketing focus and sales opportunity for several U.S. companies. An underleveraged component of the B2B marketing plans for many advertisers is the multicultural segment. Over the past 12 years, the landscape of minority owned business has fueled virtually all of the entrepreneurial growth in U.S. business. More specifically, Hispanic owned businesses have more than doubled from 2002 to 2013 (1.57 million businesses in 2002 to over 3.16 million Hispanic owned businesses in 2013). This growth has increased the percentage of overall US businesses that are Hispanic owned to 20.4% (up from 16% of all US businesses in 2002). Over that same period of time, Caucasian owned businesses have declined from 67.1% of all US businesses to 61.4% in 2013. In short, not only are multicultural business owners becoming a larger part of the B2B market, but Hispanic owned businesses represent the largest multicultural B2B segment and the fastest growing ethnic B2B segment. Some marketers and agencies may believe that marketing to the multicultural B2B audience is either a difficult proposition or that the level of benefit from marketing to multicultural segments is not worth the investment. The brief case study below demonstrates that, with the right product offering and the right agency partner to ensure the accuracy of the strategy and execution, marketers can have success and gain long-term traction with these lucrative and largely untapped B2B opportunities. NAPA AUTO PARTS, the leading aftermarket automotive parts and accessories company in the U.S. derives over 60% of its $8 billion in revenues from "wholesale", i.e. B2B. 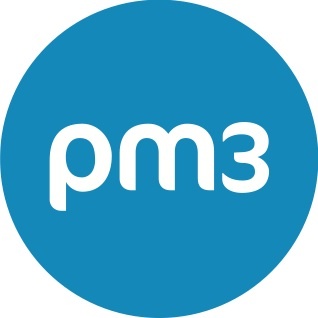 PM3 began working with NAPA in 2004 when they realized that in major US markets such as Los Angeles, Miami, Phoenix, Dallas, Houston and Chicago, they were losing a significant portion of their market. PM3's subsequent research discovered that in addition to the high Hispanic populations in many key markets, Hispanics were also over-represented in the automotive service trades - NAPA's key target. Research also revealed that Hispanic customers tended to be younger, less price sensitive and more brand loyal. Analyzing the service-area demographics of NAPA's over 6,000 U.S. stores then allowed efficient targeting of efforts at the store level. NAPA's B2B customers are the people that service cars and trucks as well as businesses with vehicle fleets to maintain. NAPA has traditionally used sports properties as a platform for marketing in general and B2B marketing in particular, leveraging hospitality assets to reward and entertain wholesale customers. However these sports properties have usually been motorsport focused, especially stock car racing (NASCAR) and drag racing (NHRA). But to reach Hispanics something different was needed. In 2005 following PM3's recommendation, NAPA became a sponsor of the Mexican National Soccer Team's US Tour, the leading sports marketing property targeting US Hispanics. The program provided the first ever opportunity for NAPA to cater hospitality to Hispanic wholesale customers. In key high-density Hispanic markets around the US where matches were played, the property provided NAPA's sales force with an unprecedented asset with which to reward existing Hispanic B2B customers and engage new ones. Based on the initial success of the program, in 2007 NAPA added sponsorship of Major League Soccer (MLS) in order to expand the campaign to new markets. NAPA's program included sales promotions run in game markets, which incentivized B2B sales and rewarded customers with match tickets, meet and greets with current players and legends, pre-match on-field experiences and autographed merchandise awarded as sales incentives or as raffle prizes at hospitality events. Additionally, events were organized at NAPA stores as part of the program, attracting B2B customers to these events by providing special promotions, food, premium giveaways, soccer legend and brand ambassador appearances. To nationally activate the soccer property among B2B customers in markets that would not host a game event, PM3 developed POS materials, placed print ads in Spanish language trade publication Servicio Automotriz and ran radio flights concentrated around sports and news tied to the actual matches. Do your research. As with any successful consumer marketing strategy, segment research on the size of your B2B segment prize, relevant insights for the industry or the business owner, knowledge of the most effective marketing tactics, and other key strategic decisions about how best to convert these prospects to customers is key, and it is NOT all the job of the sales group!! !